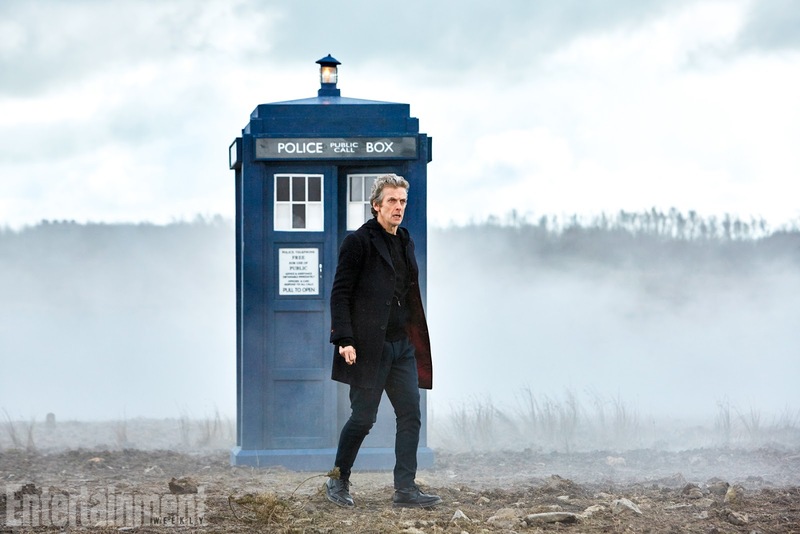 Entertainment Weekly in the midst of its usual run up to San Diego Comic-Con has released a brand new image of the 12th Doctor and the Tardis from the series 9 opening two-parter, “The Magician’s Apprentice/The Witch’s Familiar,” which you can see below. Click to see the gigantic version. They have also posted a brief interview with Peter Capaldi where he teases what we can expect from the next series. The quote that will get passed around the most “some subtle tributes to the 60’s.” Take that as you will. You can read the whole article here. All I’ll say is that I’ll definitely be keeping an eye out for a menoptra in San Diego next week.